More competitive with mixed results. Sotheby’s set the record for the most expensive Patek Philippe sold this year to date, achieving SFr3.92m, fees included, for the “Asprey” 2499. That’s also the record for the reference, which is arguably the most celebrated vintage Patek Philippe model. But beyond the headline number was a more nuanced Geneva auction season, which just concluded yesterday. Much like the travelling circus that accompanies Formula 1 to its glitzy races around the world, the great and the good of the watch world – vintage for the most part – descended on Geneva last week for four days of watch auctions, which are now part business and part social event. The proceedings were, as usual, dominated by the top three auction houses. Phillips once again emerged tops with a sale tally of SFr21.4m, followed by Christie’s with SFr13.3m, and then Sotheby’s with SFr12.2m. Antiquorum gets an honourable mention with a SFr8.03m total despite a catalogue that was double the size of everyone else’s. 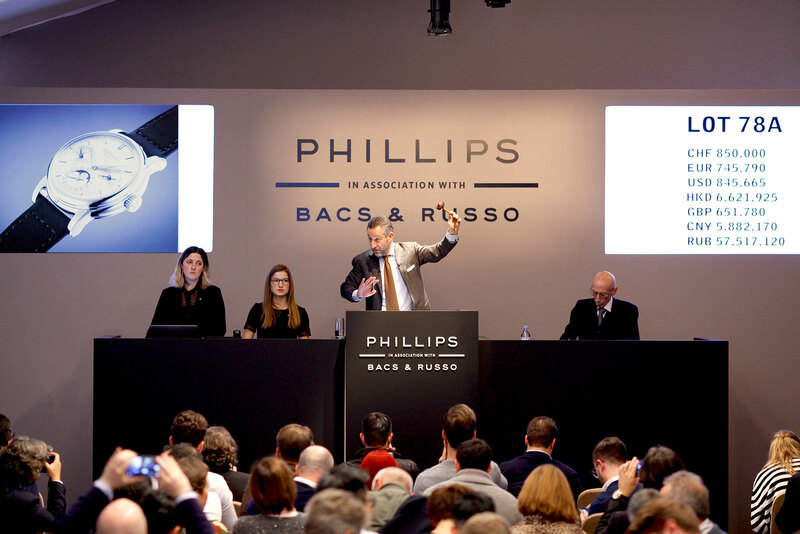 Whereas in earlier seasons Phillips tended to be the leader in value and headlines, this auction season was the most competitive in recent years, with all three auctioneers having mostly impressive catalogues. While the gap has closed, Phillips still tended to achieve the highest prices, like for like, followed by Christie’s, and then Sotheby’s. Though Phillips got the biggest sale total, as well as the highest sell-through of 99% by value, but it did not have a killer watch of the sort that everyone was talking about (or bashing). In fact, its most valuable lot was a Patek Philippe ref. 3974P minute repeater with perpetual calendar, a handsome and rare watch (eight are known to date) but certainly not the stuff of wild fantasy. While it had the spare case back, the watch was missing its original certificate. Nonetheless it sold for just over SFr1.03m, a surprisingly large sum for the reference. Both Sotheby’s and Christie’s, on the other hand, had headline watches, each with its own double-signed Patek Philippe ref. 2499. Christie’s offered a first series example in yellow gold signed on the dial and case back by Serpico y Laino, a Venuzuelan watch retailer that had its best days during the Latin American boom of the early to mid 20thcentury. Entirely original, showing honest wear, and consigned by the family of the original owner no less, the watch is the only Serpico-signed 2499 known, and it sold for SFr3.25m after being tussled over by a pair of phone bidders, represented by Alex Bigler and John Reardon respectively. The victor was Mr Bigler, who is based in Bangkok and typically serves clients in the region. Notably, a prominent Southeast Asian collector who’s better known as a real estate tycoon was in the Christie’s saleroom. Sotheby’s pipped Christie’s with its 2499, also a first series in yellow gold, but signed “Asprey”, the posh London jeweller best known for having once been owned by the Sultan of Brunei. The Asprey 2499 sold for SFr3.92m, despite having unusual luminous hand that are widely regarded as having replaced the originals a long, long time ago. That was perhaps in part due to its condition, which was slightly crisper than the Serpico-signed example at Christie’s. And word on the street is that Sotheby’s Asprey 2499 is part of an extraordinarily large collection – a gift that will keep on giving. In the Sotheby’s saleroom it was a five-bidder race (more than half of whom were Asian) that was whittled down to three at the finish line, with a phone bidder represented by Sotheby’s London rep Kate Lacey against two bidders in the room, one of whom was Davide Parmegiani, widely regarded as the preeminent vintage watch dealer, as well as a lady reputedly bidding behalf of a major Asian collector. Less valuable than the 2499s, but selling at almost preposterous multiples, is the Patek Philippe Nautilus, which exemplifies the casual luxury watch trend no doubt driven by the popularity of high-end streetwear and “athleisure”. Christie’s sold a Nautilus ref. 5711/1P – entirely platinum and only offered to the very best clients – for almost SFr396,500, or about four times the original retail price. And Phillips achieved SFr125,000 for a ref. 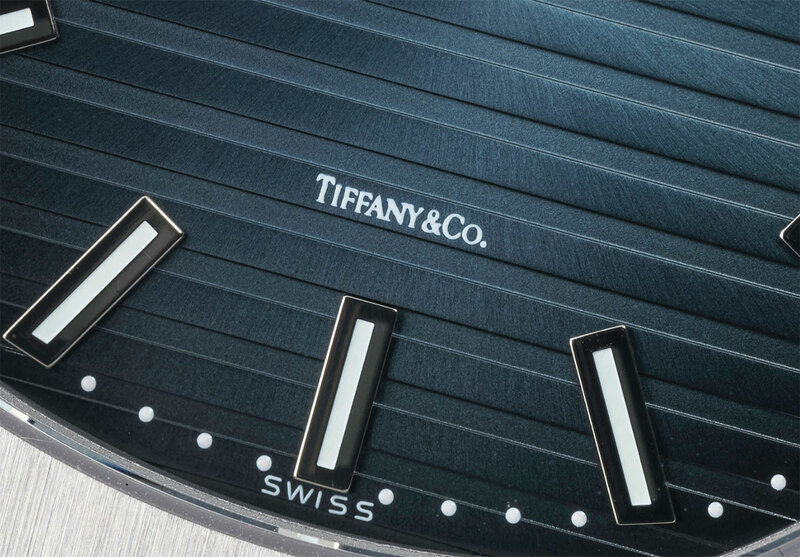 5711/1A in steel with “Tiffany & Co.” on the dial – that only left the Tiffany store in July 2018 – again about four times retail. Athleisure does not suit small watches, a fact sadly exemplified by the Patek Philippe ‘Officier’ single button chronograph from 1924 that sold at Phillips for SFr492,500 after dispirited bidding; the watch last sold at Christie’s in 2010 for SFr723,000. The weak result is all the more surprising given its impeccable provenance, coming from the collection of LVMH watch division chairman Jean-Claude Biver. 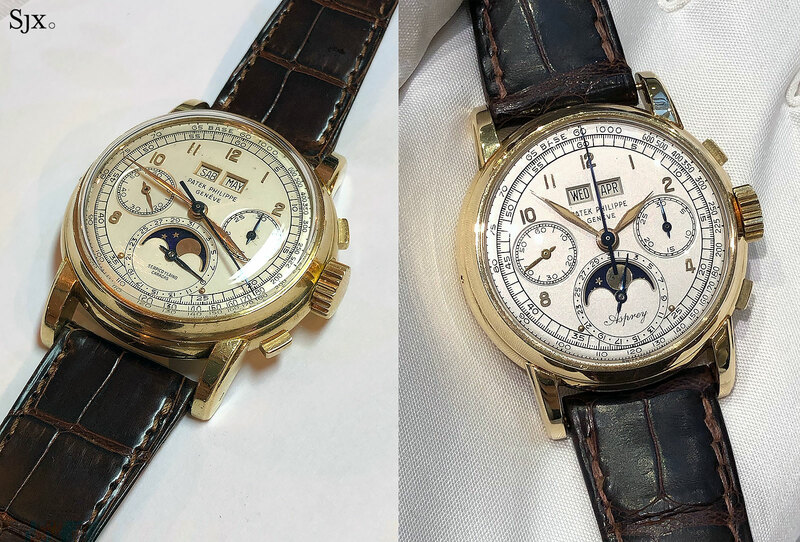 Nonetheless Patek Philippe enjoyed a solid auction season. With the top two Patek Philippe watches of the week having sold for well over SFr7.20m, it seems the pendulum has swung back in favour of the Geneva haute horlogerie watchmaker. Rolex appeared to have the upper hand after last year’s US$17.5m record for Paul Newman’s “Paul Newman”, a Daytona owned by the actor himself, a seismic event that was soon followed by Phillips’ Daytona Ultimatum auction in May 2018. In retrospect the title was appropriate, since vintage Daytona prices appear to have, in the words of an important auctioneer, reached a plateau. Bidding on the various Daytona watches in the week’s auctions was measured, with nothing selling for bizarrely big money. The biggest Daytona result of the week was SFr831,000 for an exceedingly rare Daytona ‘Pulsometer’ ref. 6239. Both Christie’s and Phillips had a Daytona “Paul Newman Panda” each, getting SFr420,500 and SFr444,500 respectively, or about 10% to 15% less than the peak price last year. Sotheby’s, on the other hand, had a “Paul Newman Oyster Sotto”, or “RCO” – once a watch worth near a million francs – that passed with a low estimate of SFr500,000. But automatic, Zenith-powered Daytonas, in contrast, are now in vogue. Steel examples sold exceptionally well, with Daytona Ultimatum having served as a catalyst. Intriguingly, the bidding for Zenith Daytonas at Phillips, which had a good number of them, came most frequently from James Marks, the auction house’s London specialist, and online from Indonesia. Also seemingly more desirable are “pre-Daytona” Rolex chronographs, which though historically important have not enjoyed the same faddishness as the later “Paul Newmans”. A ref. 4537 from 1946 sold for SFr175,000 at Phillips, well over the SFr120,000 high estimate. While the vintage Daytona market is taking a breather, the market for vintage Heuer has gone on holiday – likely to the same destination where vintage Panerai has been for some time. Prices for vintage Heuer spiralled upwards rapidly from 2015 to late 2016, accompanied by breathless headlines, but the category achieved middling to poor results at all auction houses this season. The Abercombie & Fitch Seafarer at Sotheby’s went unsold despite a low estimate of just SFr10,000, less than half of what it would have sold for two years ago. Omega, on the other hand, seems to be heading up at a more unhurried pace. After a stupendous SFr408,500 a Speedmaster ref. 2915-1 at Phillips’ Geneva sale in May, there was speculation that vintage Omega Speedmasters might be enjoying a Heuer-like boom. The run-up in prices, however, seem more tempered, with some strong results but also some so-so ones. A “tropical” ref. 2915-1 sold for SFr200,000 at Phillips, and another reference, sans brown dial, sold for SFr125,000 at Christie’s; both were well worn. The lower priced Speedmasters, most notably the ref. 145.022 (powered by the Lemania 861) have more runway to take off, and seem to be climbing quietly but surely. Perhaps it all boils down to the powers that be knowing that there’s several months to go before the 50thanniversary of the Moon landing in 2019. Audemars Piguet is also enjoying a gradual upward trajectory. Values of the Royal Oak “A-series” is slowly drifting upwards, trying but not quite catching up with Nautilus valuations. But more notable is the strength of demand for vintage Audemars Piguet chronographs and calendar watches, which are rare enough – just over 300 chronographs were made in the 30 years from 1930 – that they don’t make headlines often. Phillips sold a steel and pink gold Audemars Piguet chronograph from 1941 for SFr384,500, against an estimate of just SFr60,000 to SFr120,000. Much to the surprise of many in the saleroom, the price marched upwards as a result of two bidders, one an Asian collector on the phone represented by Nathalie Monbaron, and the other bidding online from Michigan, though later revealed to be a European collector. Saleroom action is often driven by dealers, with perhaps 150 of them in Geneva each season. Dealers often help nudge prices upwards, as they bid to a point that still leaves a bit of room for a margin, while collectors can triumph by going beyond that. But while dealers were present in all the auctions over the last week, they did not participate as much as usual, especially on the pricier lots. At Phillips’ two-day auction for instance, there were perhaps only a dozen dealers bidding, or about a tenth of the total in attendance. That was no doubt a contributing factor in the softer results. There was talk amongst insiders that dealers are sitting on significant amounts of inventory, explaining their reticence at auction. That is true to the extent that several important merchants, for the very first time, set up pop-up stores in Geneva during the auctions. Italian heavyweight Davide Parmegiani had his own setup at the Four Seasons, while several other dealers banded together to exhibit at the Ritz-Carlton, the former Hotel de la Paix. It was untold millions of incredibly rare vintage watches; Rolex Passion Report published an excellent run-through of what was on show. Major collectors holding back can also have a similar effect on prices and momentum. A prominent Middle Eastern collector who attends every Geneva auction was in attendance but more measured in his bidding, perhaps shrewdly keeping his ammo dry for something bigger and better. At the same time, surprise results for esoteric watches can also be driven by collectors, a fact illustrated by two watches that sold at Phillips. 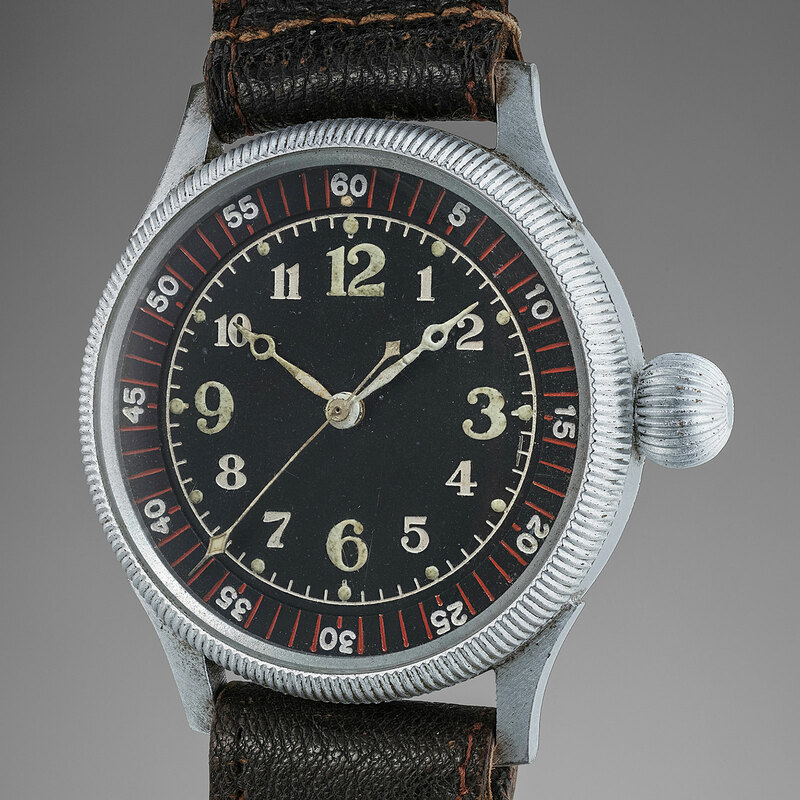 The Seikosha tensoku tokei, an oversized aviator’s watch made for the Imperial Japanese military during the Second World War, sold for SFr23,750, a strong valuation driven by a determined absentee bidder who won the lot. The same model, albeit less well preserved, sold for SFr12,500 at Sotheby’s, more typical of the going rate for the watch. The other was the eye-watering SFr468,500 for the F.P. Journe Souscription Tourbillon, well over double what the model last sold for at auction. While Francois-Paul Journe was in the room, the bidding was driven by an Asian gentleman a few rows down from Mr Journe, and a determined phone bidder who bowed out after giving the winner a run for his money. Whether this has anything to do with 2019 being the 20thanniversary of the F.P. Journe tourbillon, with a whole new model slated to be introduced for the occasion, is anyone’s guess. The record price for the Journe tourbillon was one of several strong prices for independent watchmaking at Phillips, which also sold timepieces by Vianney Halter, Voutilainen and a Laurent Ferrier made for American watch blog Hodinkee. Christie’s also offered a selection of independent watchmaking, but with notably weaker results, most obviously due to the names on offer: Thomas Prescher, Mermod Freres, Maitre du Temps and Laurent Ferrier, of which there were four standard models. There’s a pretty clear hierarchy of brands in independent watchmaking, and the results prove that. The most salient lessons from the week aren’t relevations. The very best watches will make big numbers wherever they are sold, but one great watch does not a sale maketh. And then there’s the fact that what goes up must come down.